- I cannot say that Olympik are tough opponents for us. Today we produced bad performance in the first half. I do not know what the reason may be, perhaps, we did not get prepared quite well. The season is not over yet. Now those who have less practice play. 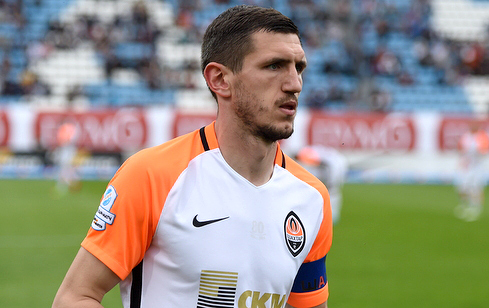 Football players prove that they are not at Shakhtar for a reason and can also appear in the starting line-up. Right, we have claimed the title, but this should not influence. In the second half, they operated in quite a different way and had to come victorious. I am very pleased that I registered the first goal for the club. Of course, the victory would be even better, but nevertheless I am satisfied that helped the team to level the scoreline. - For the first time, I came onto the pitch as a skipper, with me being proud and glad that I was entrusted with a captain’s armband. Of course, I felt an additional responsibility, but we do not have a clear-сut leader in the team: everyone knows the tasks they face, and they must perform their roles on the field. About the episode with my yellow card. I took off the stockings and showed the referee the marks from the opponent's spikes. There was no simulation on my part, it was an obvious penalty kick. Olimpik were eager to win especially in the first half, perhaps, even more than ours. But with time, we made adjustments, levelled the match and completely outplayed the opponents after the break.